It is always ideal to highlight those new groups that are making headway in their respective genre of music. Alternative Rock has always been about embracing the unique, the small and the unknown. It’s been about saying no to the man and saying no to the big bands that have dominated over the radios. 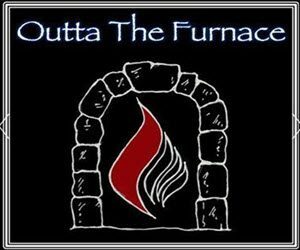 That is the premise behind the genre and for that reason, we would like to introduce our viewers to “Outta The Furnace”, a small band from Norfolk/Virginia Beach. The band genre stands as classic rock & blues. The band has been able to blend tradition blues and tradition rock n’ roll into one to create an outstanding sound. The band’s inspirations include the Rolling Stones, White Stripes, Led Zeppelin, Black Keys and Queens of the Stone Age. This gives a general description of the sound they are trying to accomplish. It’s a sound that they seem to have perfected long before these three bandmates went on stage as an ensemble. MN John, Stevie Steve and Dynamic Dan has worked long to end up on the road their currently exploring. Ever since they released their EP to the blues & rock crowds in their respective states the band’s popularity has shot up like a cannon. They’ve now got a new mission which is to show people the reality of living in the United States of America within their music and to possibly shine a ray of hope amongst their fans. This is an outstanding way to embrace the bad aspects of living in a modern day society and trying to turn them into a positive way towards change. The band has been able to gain popularity on their own accord through their music. They aren’t on every social media platform. All they are active on is Facebook & Reverb Nation. Through Reverb, their popularity is gaining as well which showcases that this band has the potential to become famous throughout the nation. It’s the small bands that stand as a force for good that deserves the recognition that often fails to come. It is those bands that often set the stage for those that follow and become more mainstream.